People have heeded weather warnings in the capital and there's not a soul in sight in the city. 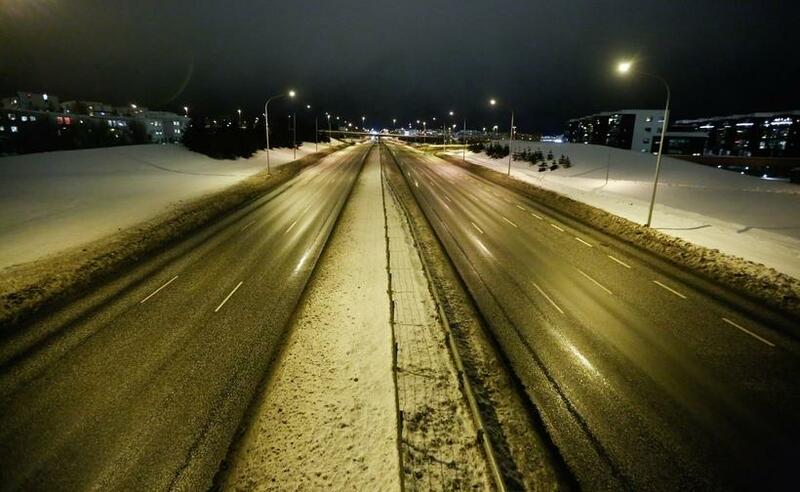 Our photographer, well equipped on a jeep captured this image of the deserted streets. Currently, the storm hasn't quite hit Reykjavik yet. Although it's pretty windy, the storm is supposed to start at around 9 pm and to culminate at midnight. Temperatures are a little warmer than expected and the storm is expected to resurge between 2 and 3 am and to last until at least 9 am.